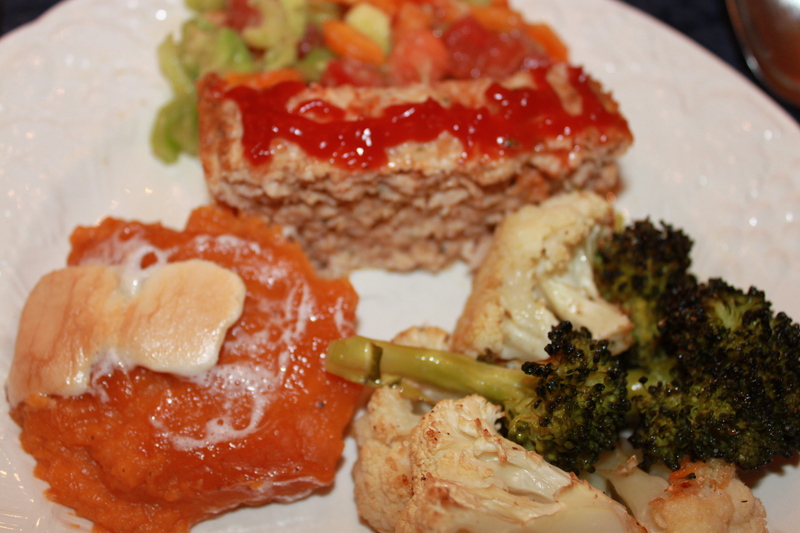 Dinners with turkey or ground turkey as the main course. What’s in your snack drawer? We all deserve a little something sweet or crunchy (or both) once in a while right? My problem was that I would find my kids continually sneaking the food upstairs in their room or down the basement and worse, hiding it from me. Something felt seriously wrong about this – I was creating very bad habits not to mention ruining my kid’s appetites for a healthy dinner. Then I realized, “If I don’t want them to eat the food, why am I buying it?”. Perhaps I was really buying the snacks for me but using the kids as an excuse. Sure a few Doritos with your sandwich sounds like a great idea but it all goes wrong when you find the empty bag under the couch or worse, YOU eat half the bag. Save the occasional junk food for the snack bar at the baseball game or the pool. In the meantime, gradually transition to some healthier alternatives (e.g., granola bars, cut up fruit, cheese/crackers or even some chocolate covered raisins). Now about MY secret stash of chocolate/almond bark in the freezer….shhhhh. Turkey London Broil (aka ½ a turkey breast w/ tenderloin attached). This is easy and pretty enough for a dinner party. 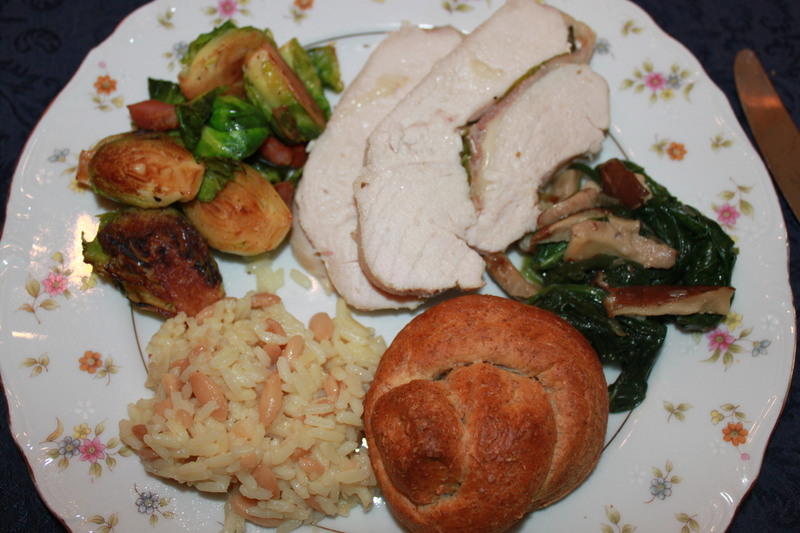 Rinse a turkey London broil (1-3 lbs. ), pat dry and sprinkle with salt and pepper. Lay slices of prosciutto, mozzarella and basil on one half. Fold the turkey like a sandwich and tie the roast together with butcher string. Drizzle or paint a little EV olive oil on the top. Bake in oven at 350 for until turkey reads 155 degrees (about 60 mins). You can also grill the turkey on Med heat for 45 mins. Take turkey out of oven and cover with foil for 10-15 minutes to continue cooking. Cut up some pancetta (or bacon) and fry in a pan for a few minutes until crisp. I keep some pancetta wheels in the freezer. Add brussel sprouts (cut in half) to pan. Sprinkle with salt/pepper. Continue cooking until tender (7-8 mins). Add a drop of water and cover to speed cooking. Heat a clove of garlic in a pan with EV olive oil. Add sliced mushrooms and cook until tender (7-8 mins.). Add a splash of white wine and cook a bit more for extra flavor. Add a bag of fresh spinach and a little salt/pepper. Toss with a drop of water and continue to cook for about 5 minutes until soft. My daughter layered the prosciutto, cheese and basil onto the turkey (see bikini picture above). She also used the “paintbrush” to paint some EV olive oil on the turkey once it was tied. Kids are great at measuring and pouring to make the rice pilaf. A male turkey is called a “Tom” and is also referred to as a gobbler. Female turkeys are called “Hens”. You probably know by now that my pet peeve is that too many children will “only eat 5 things”. What I can’t figure out is this; why does a 10 month old baby gobble up a variety of baby foods (carrots, peas, sweet potatoes), but then 2 years later the same toddler won’t eat the exact same vegetable in their original form?! Something is happening “from the bottle to the table” that is preventing our toddlers from liking and eating a variety of healthy table food. One culprit is the introduction of processed snacks/foods to our precious young toddlers. It’s like hooking babies to crack – we are conditioning them earlier and earlier to prefer fake food to real. The packaged baby “meals” are like Lunchables for babies….I wouldn’t feed it to my dog (if I had one). The second problem is lack of exposure to simple whole foods. Here is my solution: let’s get rid of “kid food” and move immediately from baby food to regular, simply prepared, table food. 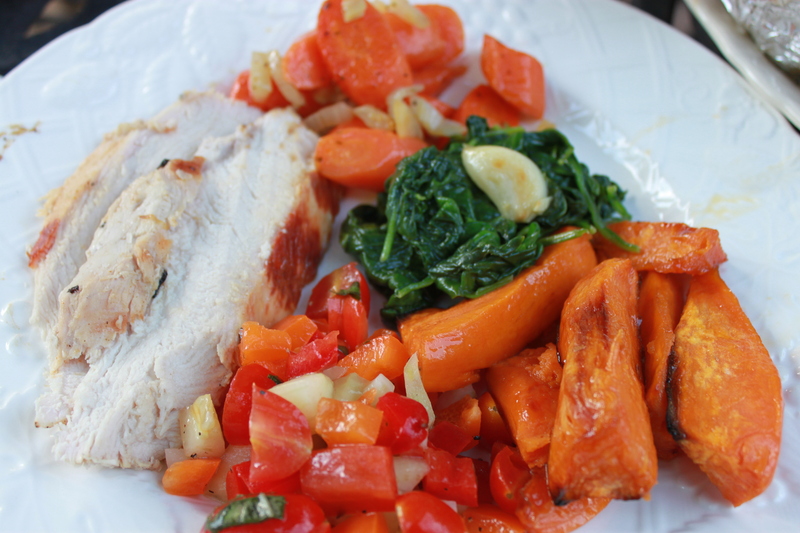 Try chicken sautéed in olive oil and lemon or carrots cooked with dash of cinnamon or orange juice. 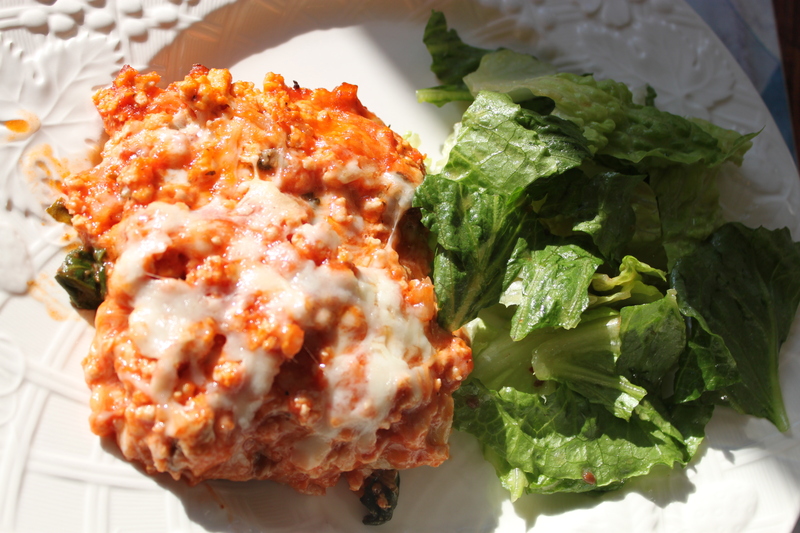 Keep the flavors simple so the whole family can enjoy the same healthy dinner. Gradually test and add more ingredients and flavors into the meal until your kids develop a taste for the healthy foods you and your spouse like. It may sound selfish, but it works. Why should I spend time getting the kids to like curry if Mike and I don’t like it. Now basil on the other hand…..that’s non-negotiable. Stir in ½ TSP of Herbs de Provence, 2 TBS of ketchup, ½ cup of chicken broth. Remove from heat. 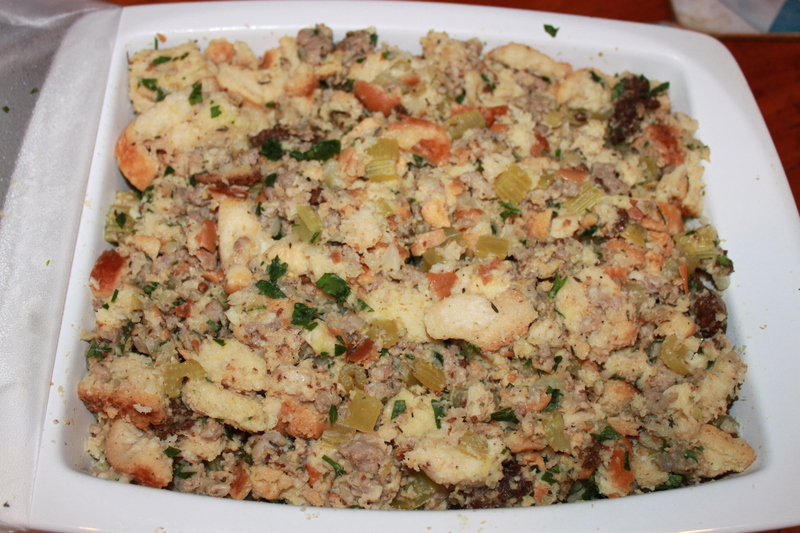 Mix 1 egg, ½ cup bread crumbs and onion mixture into 1 – 1/2 lb. of ground turkey. Put mixture into loafpan. Let the kids squirt a ketchup design on the top. 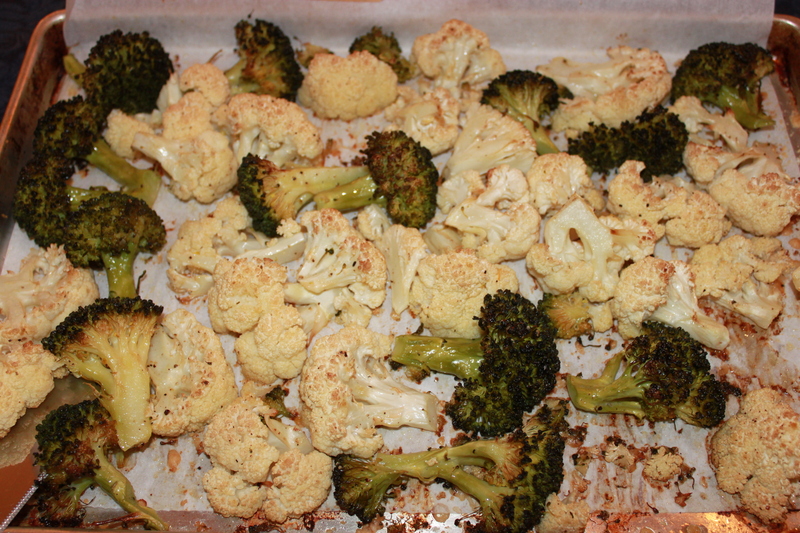 Wash and cut veggies and lay on large baking sheet. Toss with EVOO, salt/pepper and a dash of parmesan cheese. Bake on 350 for about 30 minutes or until tender. 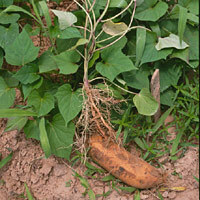 Cut and boil 4-5 sweet potatoes. Drain. Add 4 TBS of butter, ¼ cup of milk (or cream), 1/4 cup of brown sugar and 1/2 TSP of cinnamon (adjust ingredients to taste). Mash or beat with immersion blender. 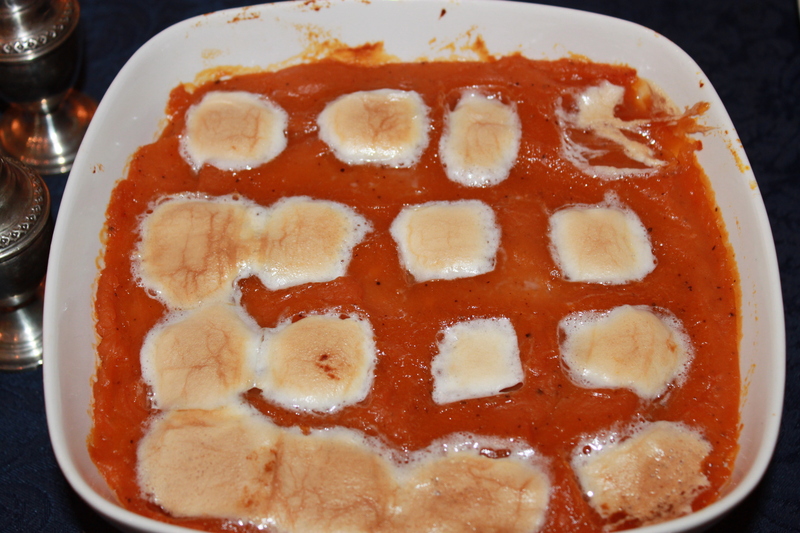 Serve immediately or put in baking dish and top with marshmallows and bake for 15 minutes. Optional: Add some fresh scallion and juice from ½ lime. 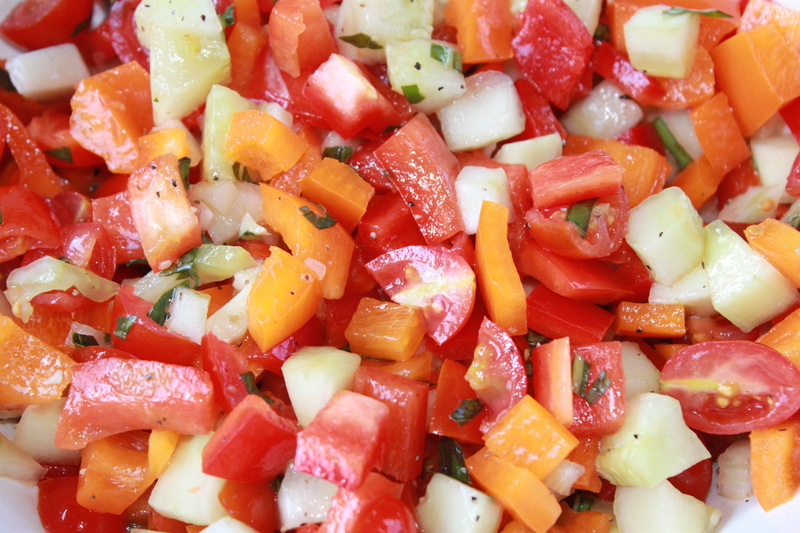 Toss with salt, pepper, EV olive oil and a splash of rice wine vinegar and/or red wine vinegar. Serve immediate or chill. Ask the kids to “test” the sweet potatoes to see if cooked or if there’s enough cinnamon/brown sugar. I love Thanksgiving because nobody serves kid food at this meal. There is simply no time or room in the oven for chicken nuggets. 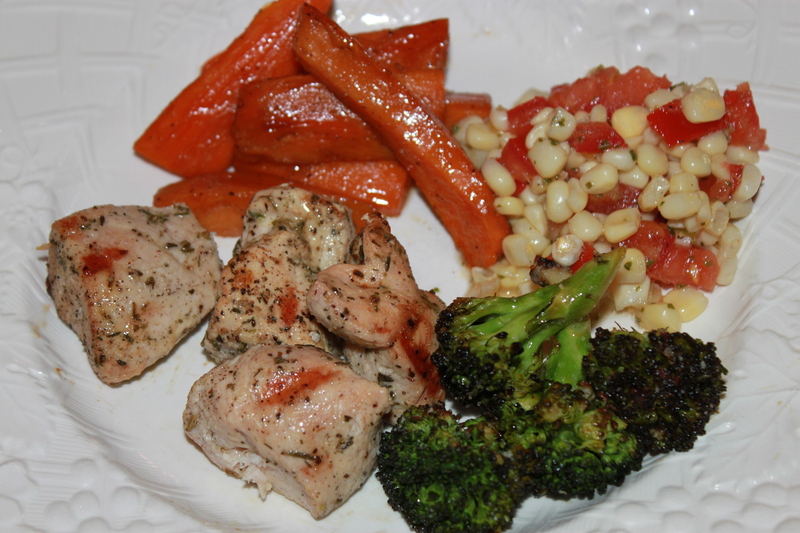 The kids actually eat the simply prepared foods such as the turkey, corn and sweet potatoes. You can have one meal for everyone!!! 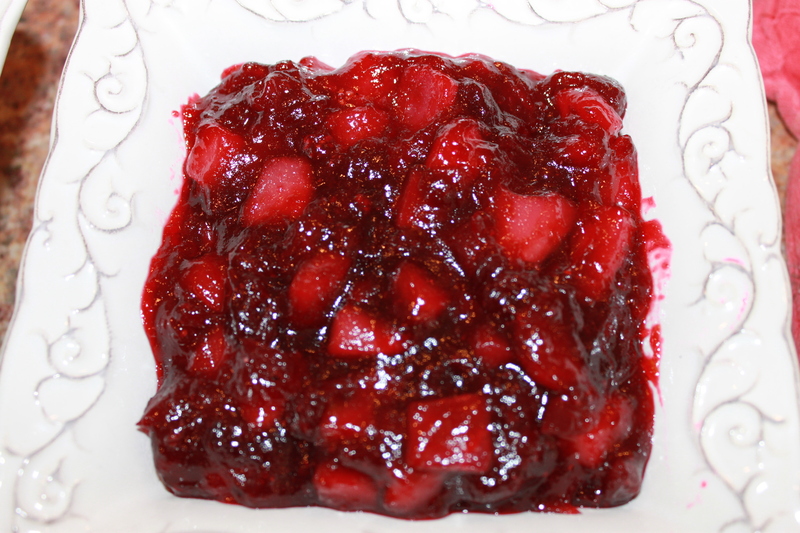 2) Cranberry-Pear Relish. I have wonderful memories of my mom teaching me how to clean and prepare the turkey and make the stuffing. Now, I enjoy cooking and teaching my younger cousin how to prepare these special dishes. Thanksgiving is not just about the food but the traditions and memories associated with the meal. 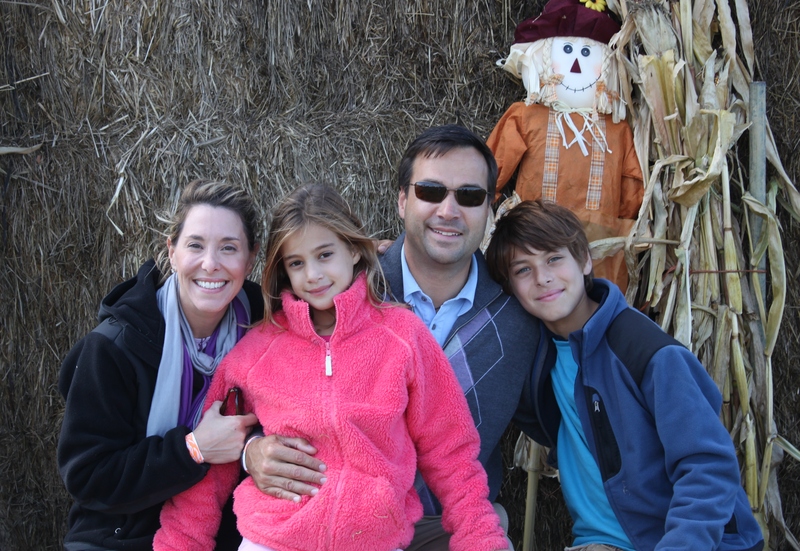 What Thanksgiving traditions will your children cherish? Food prepared with love actually does taste better. I hope you enjoy these recipes and that you and your family have a wonderful Thanksgiving! Take 1 lb of Italian sausage out of casing and fry in a heavy pan, chopping into bits. Chop and cook 1 onion and 1 bunch of celery in 1 stick of butter until veggies are soft (you can buy them chopped too). 4. Gradually add about 2 cups of chicken broth and stir until moistened. 5. Place in baking dish. You can refrigerate for 1-2 days. Heat on 350 for 30 minutes (add additional broth if needed). 3) Stir and continue cooking until thick like jam (about 15 minutes). Press and “pop” all the cranberries. 4) Cover and refrigerate for a few hours or days. What traditions were important to you as a child? What traditions are important to you as a parent? Whenever it’s somebody’s birthday or Mother’s/Father’s Day or just any random Sunday night, my local family, “the core” (that’s my sister, her kids, my dad, my husband and our kids) will enjoy a nice sit-down dinner. On special occasions, we all watch, joke and laugh as the guest of honor opens all their cards (some hand-made by the kids) and opens their presents. I truly enjoy watching my children say grace, eat (of course the family dinner) and listen to the conversations at the table. As they mature, it’s fun to watch them interject their own opinions or comments into the exchange. They don’t know it yet, but these nights are just as character-forming (if not more) as the college they select or the job they choose. Now I do know that these dinners give my children confidence and shape their character but what I don’t know is how much of the dinner conversation they will actually remember – I can only hope for the best. 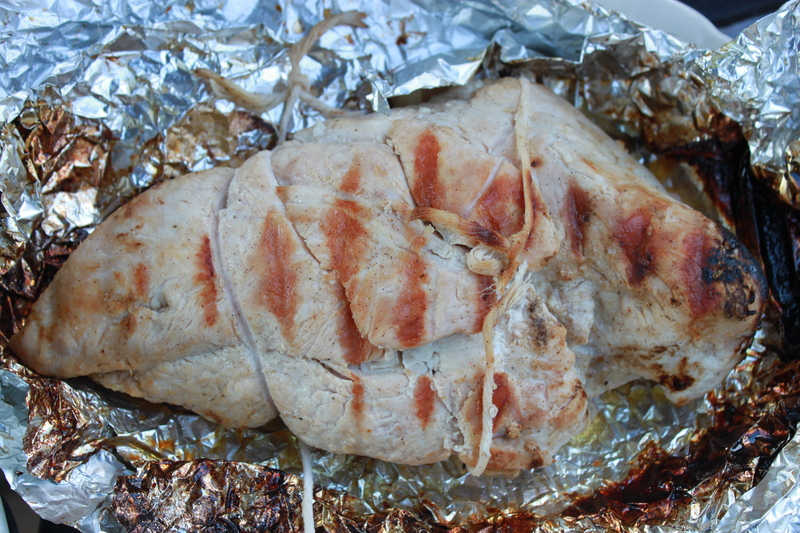 Grilled Turkey Breast: This was the fastest, most delicious turkey breast I ever made. I bought a 5-6 pound turkey breast and cut off the string that held it tightly together (otherwise it’s too thick). You can grill the breast flat or I loosely tied it to keep it moist inside. Marinade: Mix about ¼ cup of EV olive oil with some herbs (basil, rosemary, thyme), salt/pepper and pour it over the turkey breast. Let marinate for 10 mins. or 10 hours in a Ziploc bag. Grill on some tin foil on MEDIUM for 20 minutes each side. Take off the grill and cover with tin foil for 10 minutes. 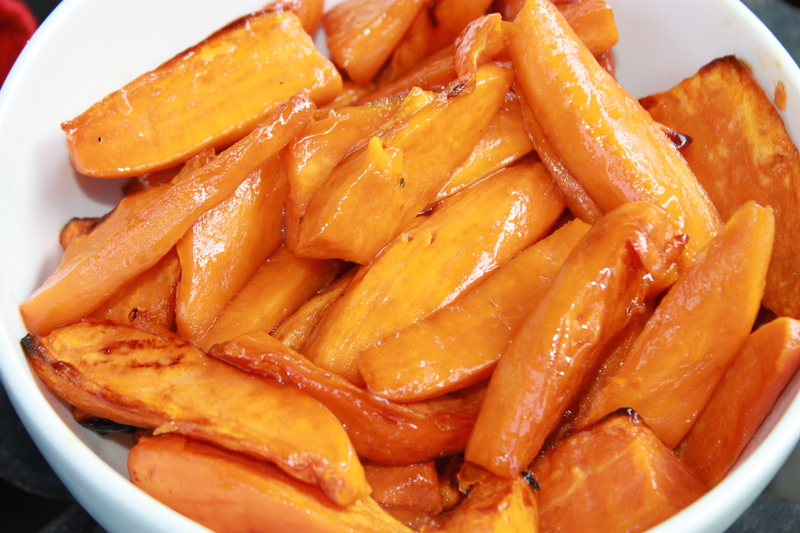 Peel sweet potatoes and cut in half – then slice into wedges. Lay on a baking sheet (line w/ parchment paper for easy clean-up) and toss with a sprinkle of brown sugar and salt/pepper. Roast for 30 minutes or until tender. Cut up some grape tomatoes, orange peppers, cucumbers and celery. Toss with some fresh basil, EV olive oil, salt/pepper and red wine vinegar. Help measure/mix marinade for Turkey in Ziploc bag. Help peel the carrots (with help) and add herbs. Sprinkle sweet potatoes with brown sugar. Smash garlic and peel open for spinach. Brown sugar has less calories than white sugar. A slice of apple or a few drops of water will loosen hard brown sugar in the bag. Every morning I go to Dunkin’ Donuts and get a coffee for my dad and a half-decaf for me. We have a great set-up, I get the coffee and donuts and he makes a fruit plate for us. It continues to amaze me how Americans order, “Gimme 2 chocolate and bagel wit’ cream cheese”. Gimme?! Really?! And the best part is that these people are completely unaware of how offensive they sound. I have heard this “gimme” not just at the Dunkin’ Donuts, but many fast food or even family style restaurants. Last week I took my kids to a park in Bluebell (a far cry from inner-city) and a heavy-set boy ran past me out of breath. I looked at his T-shirt and it said “GIMME SNACKS and NOBODY GETS HURT!” with a chubby cartoon character on the front. Really?! It’s soo funny and soo not funny all at the same time. I am one of the few Italians that doesn’t like ricotta cheese and therefore, I have never been a big fan of lasagna. I also think that it’s a pain to boil the noodles for lasagna and baked ziti. 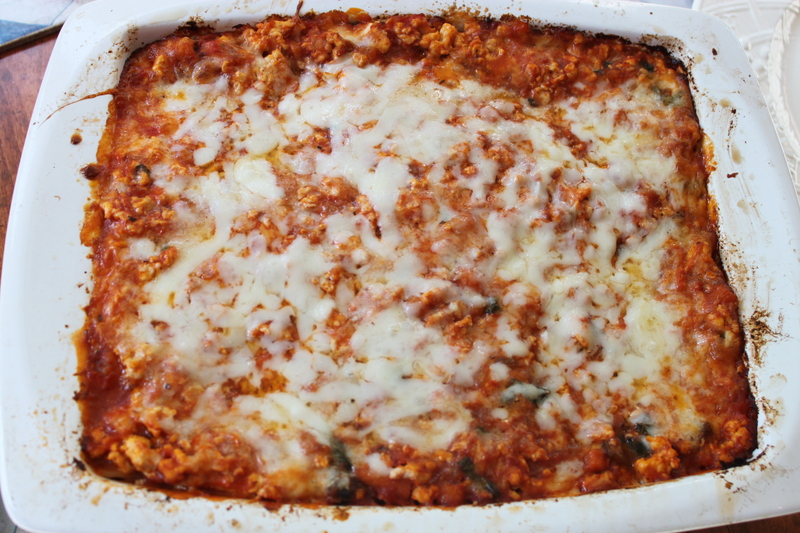 Here is an easy recipe for lasagna that I made instead that requires 1 pot and 1 baking dish. Make it with meat and/or veggies – I did both. Optional: Cook 1 lb. ground turkey or beef in a drop of olive oil in a heavy pot. Set aside. Optional: Heat some garlic up in EV olive oil. Add any veggies (spinach, broccoli, mushrooms, zucchini) and toss until cooked through. Set aside and take out garlic. 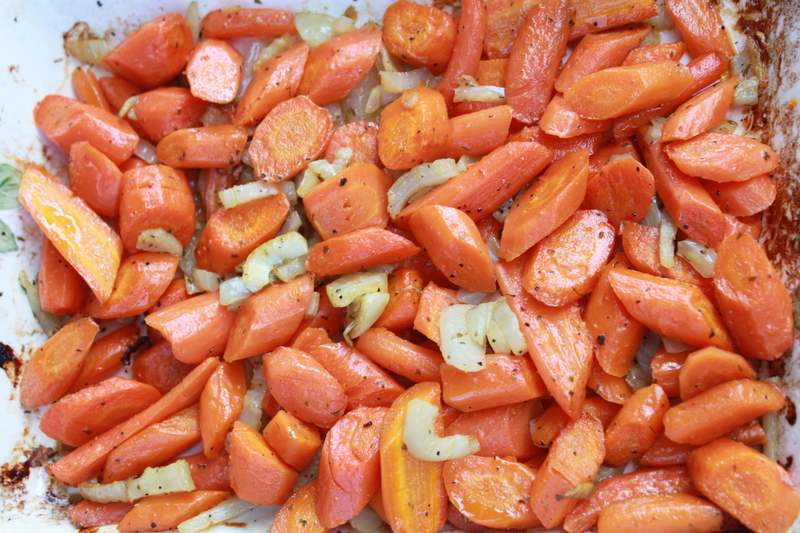 Dice ½ onion (grate some carrot in too) and cook in a little olive oil (and garlic) until soft. Add one can of crushed tomatoes and fresh basil and stir with salt/pepper and let cook at least 15 mins. Spray bottom of baking dish with non-stick spray. Layer 1) NO BOIL lasagna noodles 2) meat/veggies 3) sauce 4) shredded mozzarella 5) sprinkle of parmesan cheese. Do this in 2 layers. Cover with plastic and foil. Put in fridge for a day or freeze for a month. Cook at 375 for 25 minutes covered with foil only – spray to avoid sticking) and 10 minutes uncovered. Let sit for 5-10 minutes before serving (so it won’t fall apart). Help decide which veggies should go into the lasagna. In Italy, lasagna noodles are totally flat – in the U.S. they are ruffled at the ends to help trap sauce. 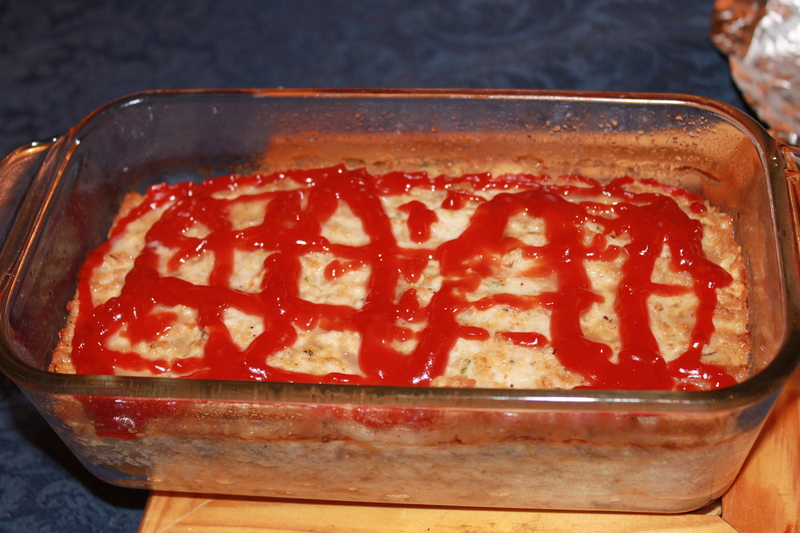 The term “lasagna” comes from the Greeks. Nutmeg is used in several versions of lasagna. I can’t blame my entire obsession with food on being Italian. Please tell me that the rest of you agree that some of your best memories involve food in some way. I think about big boisterous Sunday dinners around the table. I am convinced that the reason I talk so loud to this day is because I had to shout to be heard at the table (I was the youngest of 4). I remember coming home everyday after school and my mom saying “How was your day?” to which I always replied, “Good, what’s for dinner?”. One of my most exciting memories is white water rafting in Colorado with my ever adventurous sister. How does food fit into that memory, you ask? I vividly remember the most delicious dinners cooked by the fire at the campsite by the River Guide. When we were kids, there were no activities on the weekend. My parents would load the 4 kids and my grandmother and great-aunt in the station wagon and take a ride “up the country”. It felt like it took hours just to get few exits up the Northeast Extension. But, of course, the highlight of the day, the best part of the trip, was when my mom handed out the lunches she made to everyone in the car. “Food always tastes better in the car” my dad would say as he drove and ate and grinned all the way there. Where did we go? I have no idea. 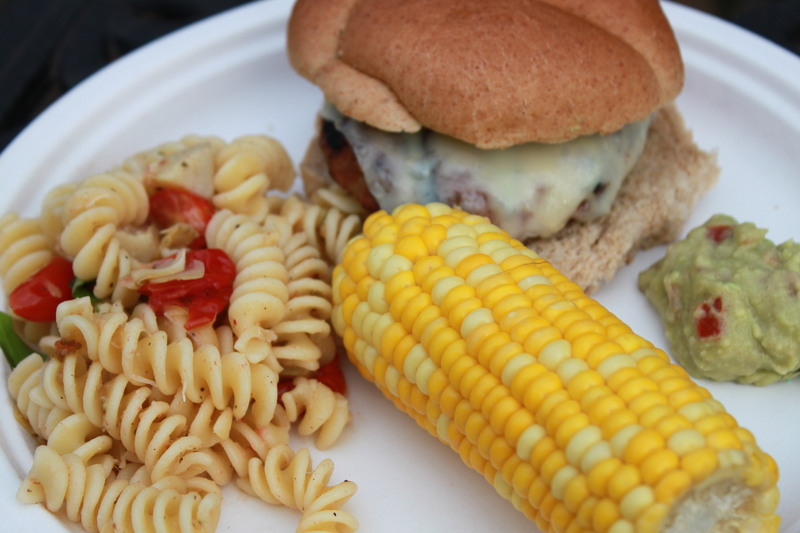 Turkey Burgers: Try with grass-fed beef too. Make little sliders for the kids – they now have little slider rolls! Form into patties. Make sure the middle of the burger is pressed down so it cooks evenly. Cook burgers on Medium-High on one side for 5 minutes and flip (only one time) and cook on Med/Low for another 5 minutes. Note: If cooking burgers in a frying pan; spray pan and cook until browned on one side, flip (only once) and brown 2nd side. Then add 2 TBS of water and reduce heat to Low for 2 minutes to cook through. Corn on the Cob: Cooked in a big pot or on the grill, you gotta love corn on the cob! The kids love the old-fashioned corn holders too. If you are in a rush, you can actually microwave all your corn in a glass baking dish with about 1/2 inch of water. Cook about a minute each ear and then flip them over and cook another couple minutes. Heat a little garlic in olive oil in a pan. 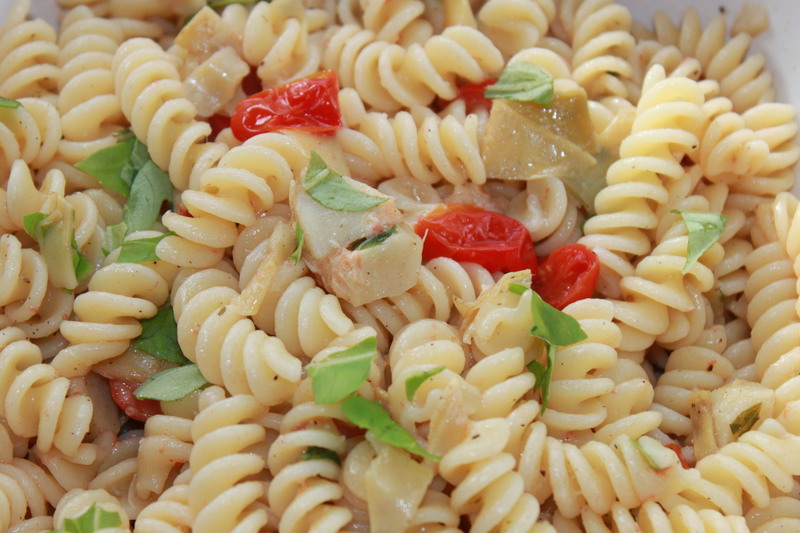 Add a jar of artichoke hearts (with juice and cut smaller), cherry tomatoes and some fresh basil. Cook for a few minutes. You can also toss all the ingredients directly into the pasta without cooking anything! Toss pasta with a little olive oil and mix with the sauce. Add salt/pepper (add a little pasta water if you need it) and sprinkle some extra basil (or parsley) on the top for color. 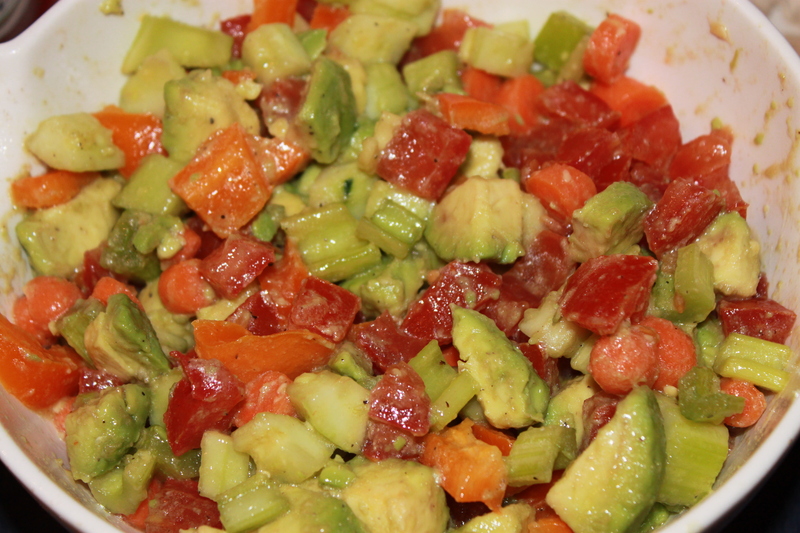 Italian Guacamole: I love guacamole on my burger but I never seem to have cilantro on hand to make it. So for a quick fix, I smash an avocado with tomato, basil, lime juice and onion powder (add salt/pepper too)! It takes 2 seconds and is sooo good on a burger! Teach the kids to shuck corn early (my mom used to send us outside with a bag of fresh corn and an empty brown paper bag). Mix bread crumbs with spices and mix meat with their hands (teach about raw meat and washing hands). Pick apart a basil leaf into tiny pieces for the pasta (in the summer they can go outside and pick from the plant). Test the pasta for doneness. Set the table (outside yeah!) and get drinks. Tell the kids one of your favorite (food) memories at dinner tonight. Corn is America’s #1 field crop. 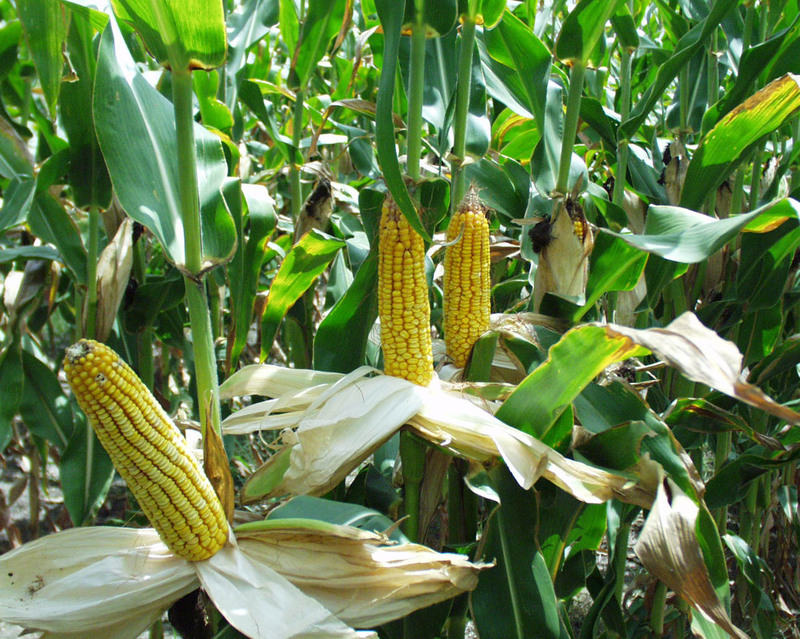 Corn is used to produce fuel alcohol. Fuel alcohol makes gasoline burn cleaner, reducing air pollution, and it doesn’t pollute the water. 82% of all U.S. Households own a grill or smoker. Did you hear the story about the mom who always cut off the front and back of her roast before putting cooking it. When her daughter asked, “Why do you cut the ends off the roast?”, her reply was simply “..because that’s how my mom did it.”. So she asked her grandmother, “Why do you cut the ends off your roast before cooking it?” and she received the same reply, “..because that’s how my mother taught me.”. Luckily the girl was persistent and even luckier because her great-grandmother was still alive. So she asked her great-grandmother, “why did you always cut the ends of the roast off?”. The great-grandmother replied, “…dear, I had to cut the roast, a little off the front and a little off the back, because otherwise it would not fit in my roasting pan.”. Do you ever do something but have no idea why other than because it’s always been done that way? Sometimes I wonder why I feel the need to scrub my poultry so clean I may as well use bleach. My mom, my nanny, and my great-aunt all taught me do that. They all “schkeev” (aka were grossed out by) unscrubbed chicken. I understand the need for chicken to be clean but to this extent? Perhaps, just maybe somewhere in my ancestry someone got sick from poultry and created this aversion that now my poor 7-year-old daughter is stuck with in 2010. Who knows, but the real question is, how long will it continue? I like to use turkey because you can get a lot of squares of meat out of just one Turkey London Broil (turkey cutlets work too). My buddy, “Matt the Butcher” (a culinary school graduate) at Fresh Market cubed the meat for me and explained that a turkey london broil is simply a turkey breast and the tenderloin in one piece. The tenderloin is extremely tender just like a filet or pork tenderloin. If you want to do veggie kabobs I recommend doing them separately so you can vary your cooking times. The meat will always take longer so if you mix them, your veggies could end up burnt. Corn Salad: I usually use fresh corn and cut off the cob (big pain) but I discovered that Fresh Market’s frozen Silver Queen Corn works great! Ribs must be boiled prior to grilling, because putting them on the grill for the full cooking time will leave them dried out or burned. This pre-grill step can be done up to two days ahead.